Roy Scorer was born in 1965 and after secondary school attended the Portsmouth College of Art and Design for 4 years gaining a Diploma in Technical Illustration. He had an interest from an early age in motorsport as when he was 4-6 years old his father used to race saloon stockcars. This keenness in short circuit oval racing continued as a young man and was a frequent attendee at Aldershot stockcar stadium. He combined his art and stock car interests to sell paintings and prints to drivers and the public from an old hut at the stadium. These featured images of the drivers and cars of the time ranging from banger racing to National Hot Rods. His work was also featured as the front cover for the Year Book for ‘Short Circuit’ magazine in 1987-1988. The stockcar art sales at the circuit ended around 1989 when the great storm blew away the hut. This led to a decision to expand his art into the whole field of motorsports and exhibition at the Racing Car Show. 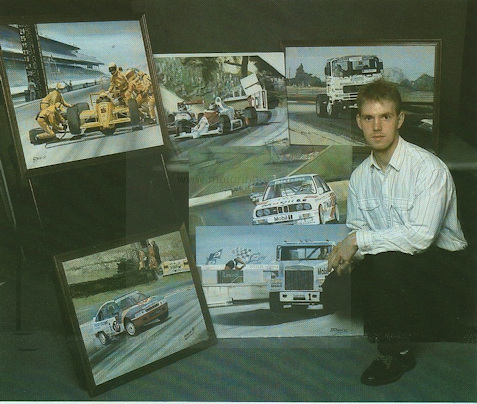 He also started making paintings of racing trucks, as his father was racing, which led to contacts and commissions. A further change of direction saw Roy painting gaming miniatures and winning a national competition in 1995. 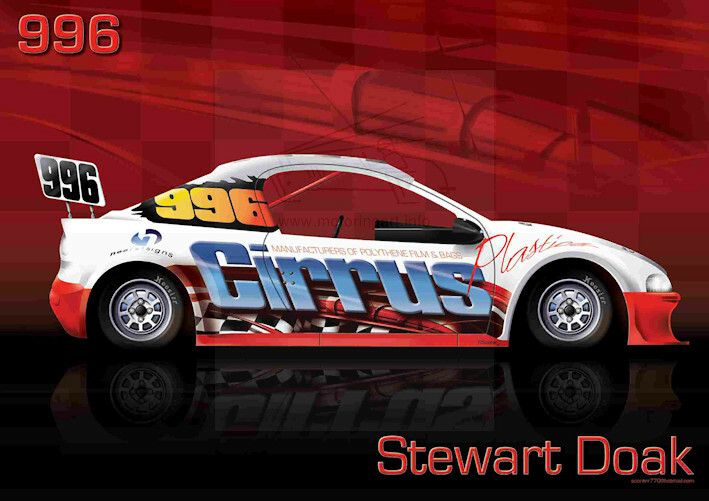 Currently Roy works for the Ministry of Defence as a Technical Illustrator but he is still very keen on motorsport illustration, albeit computer generated rather than the traditional paint and brush. 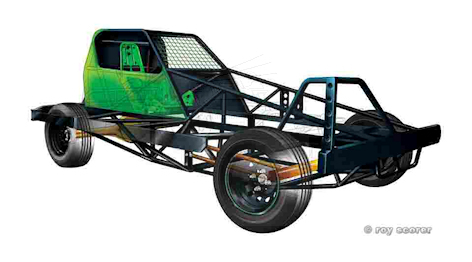 In his spare time he is working on 3-dimensional ghosted images and side profiles of stockcars.